Learn how DroneDeploy uses industry data with ChartMogul to quickly make business decisions selling to a multitude of dynamic industries. A farmer in the field trying to understand what’s happening with his crops. A construction worker trying to check progress on his job site or make design plans and track them against progress. An Insurance inspector tasked with assessing damage to a site such as from a natural disaster. They can all benefit from aerial data. DroneDeploy serves all of the above industries and more. The company has played a central part in making drones and advanced drone technology accessible to businesses in need of aerial data. In many ways, the massively-varied list above is symptomatic of the drone industry radical explosion in availability of low cost technology. After Hurricane Harvey and the subsequent flooding in Houston, DroneDeploy began working with drone operators on the ground to help assess damage. Speeding up this process is critical in getting insurance payouts moving and getting people back into their homes. When it comes to doing meaningful work, it doesn’t get much more compelling than that. I paid them a visit in their San Francisco headquarters to chat to Devon Tackels (marketing) and Kevin Charette (operations), to understand how a SaaS company serving such a diverse customer base is able to make decisions and maintain focus. 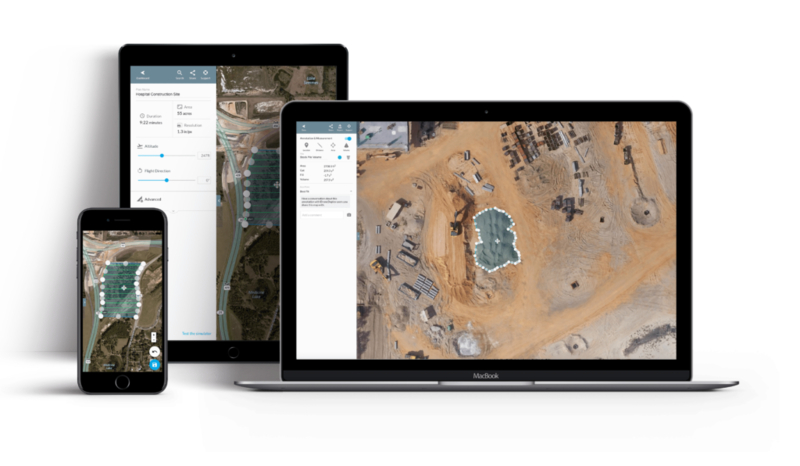 DroneDeploy is the leading cloud software platform for commercial drones. 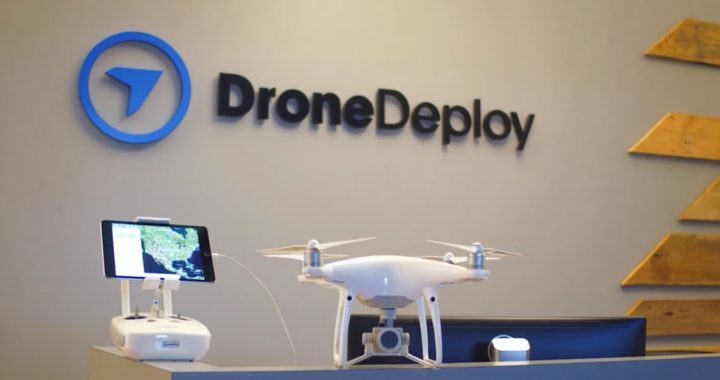 While relatively inexpensive drone hardware is making the technology available to businesses everywhere, DroneDeploy’s mission is to make aerial data from such technology accessible for everyone. 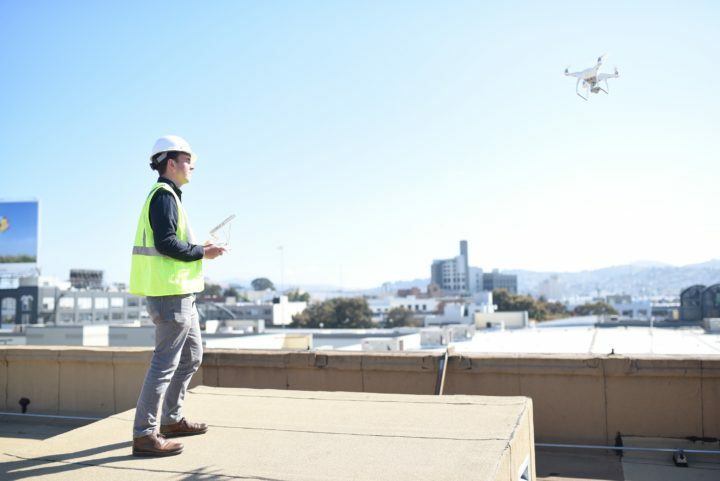 It’s really a combination of the ease and low cost of capturing aerial data, plus the advance in capability for analyzing it that’s driving the core of DroneDeploy’s mission. Drones, and the data they capture, are enabling big leaps in land assessment from the air — whether for agricultural analysis, disaster assessment, construction site evaluation, you name it. This technology allows businesses to do more in an automated fashion, with less risk and lower cost. Founded by Mike Winn, Jono Millin and Nicholas Pilkington in 2013, DroneDeploy was born out of an effort to help catch illegal poachers in South Africa. In 2013 consumer drone technology was just starting to take off. Things have changed over the past few years, thanks to advancements in battery technology, mobile computing power and manufacturing. The company attracts a lot of aeronautical engineers, helicopter pilots, plane pilots and aerial photography people. In general, most employees have an underlying interest in drones. Some employees also moved to the company from Geographic Information Systems (GIS) and map making industries. SaaS was a clear choice from the get-go with DroneDeploy — the founders knew that much of the value in such technology would lie in a cloud-based solution capable of processing, manipulating and analyzing aerial data on a larger scale than was possible before. The product offers three paid plans (Pro, Business, Enterprise) ranging from $99 per month to custom pricing for large-volume enterprise clients. The team has been using ChartMogul to measure revenue for most of their existence. I was keen to understand what kind of decisions are made based on ChartMogul’s insights. A pivotal part of DroneDeploy’s analytics setup involves pushing firmographic data to ChartMogul from their marketing platform, using the ChartMogul API. This adds industry-specific information like business category and number of employees to existing customers in ChartMogul. 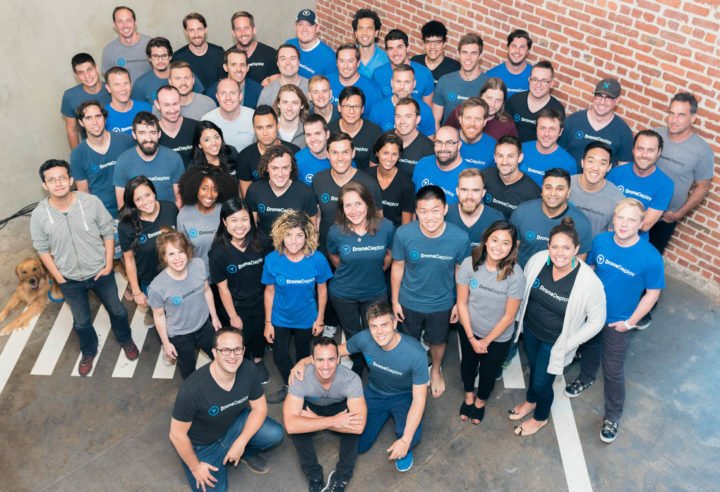 One big impression I took away from my visit to DroneDeploy was the sense that the team is acutely aware of how quickly their industry is changing, and their need to adapt to that change. The company is constantly assessing the business success of different industries. It seems like a new use case for drone technology and cheap aerial data could pop up at any time, and with robust data on how each industry is performing within ChartMogul, the team is able to adapt, pivot and adjust their strategy from one day to the next. It’s clear to see that the team at DroneDeploy are all passionate about the problems they’re solving. Whether it’s helping Oceans Unmanned discover lost shipwrecks or archaeologists in South America rushing to digitize archeological sites at risk of destruction from flooding. It’s hard not to get excited about the possibilities. What’s also clear is that data analysis using SaaS metrics will remain core to their decision making — and putting that at the center of their business will drive smart decisions for the years to come.